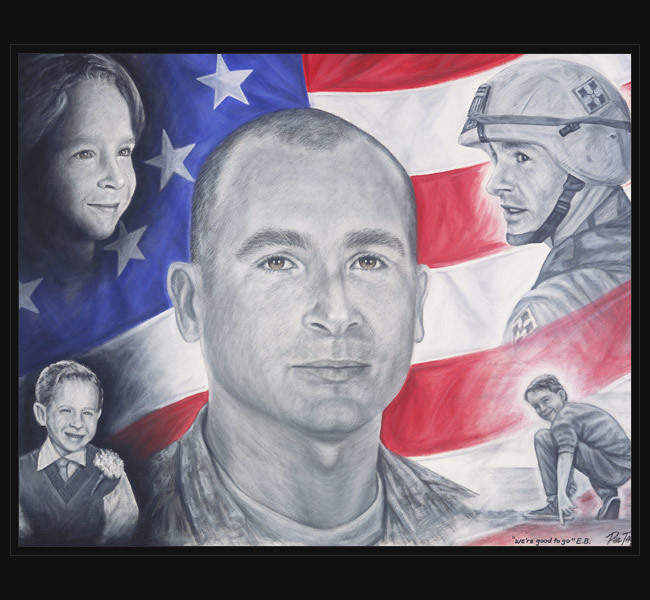 Army SGT Emerson Brand died March 15, 2007 of wounds sustained when an improvised explosive device detonated near his unit while conduction combat operations in Baghdad, Iraq. Also killed were SSG Blake M. Harris, SSG Terry W. Prater, and PFC James L. Arnold. SGT Brand spent the last 9 years of his life in the Army, serving once in Kosovo. He was serving his second tour in Iraq when he died. As his mother, Debi, bluntly put it, “SGT Brand grew up everywhere.” The Brand’s moved frequently during Emerson’s childhood, but in 2002 the family finally settled and made a home in a farmhouse outside Claremore, Oklahoma. Emerson loved the little town, the house, and the open range country. That was part of the reason that sealed his draw to the 1st Cavalry at Fort Hood. Thusly, in early 2006, SGT Brand requested a transfer to the 2nd Brigade Combat Team. In late spring of that year, he left his post in Arlington where he had proudly served since being assigned to it shortly after returning in the summer of 2004 from a year long deployment in Iraq. Two weeks after Emerson arrived in Texas, he met Debra Welsh, who quickly became the love of his life. The two planned to wed when Emerson returned from Iraq. Original portrait was presented during a surprise presentation to Emerson’s mother, Debi, at her home in Claremore, Oklahoma on December 14th, 2007. This was the first portrait personally delivered by Phil Taylor, in a surprise presentation. After this delivery, Phil Taylor decided that all the portraits needed to be personally delivered when possible.